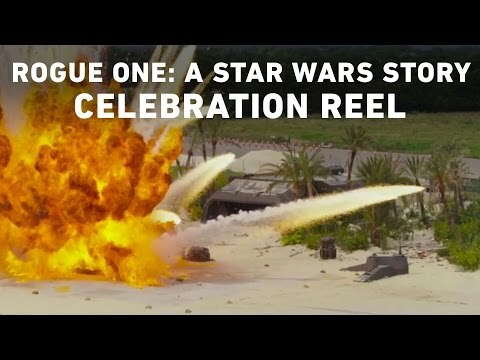 Star Wars Celebration Europe is currently in full swing in London, and the lights have just gone down on the Rogue One: A Star Wars Story panel where fans got to learn more about the highly anticipated first spin-off from the beloved franchise. The highlight of the panel was the below behind the scenes sizzle reel shining a spotlight on all the characters of this very different feeling Star Wars tale, as well as showing off the movies’ impressive practical effects. Much like The Force Awakens video unveiled at last years San Diego Comic-Con, this goes a long way to capturing the tone and sense of wonder of this movie, making the wait for it’s December release that much harder.